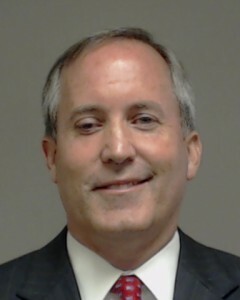 Ken Paxton seems a little nervous. Less than 36 hours before Election Day, the race for attorney general is showing signs of competition that have been absent in just about every other statewide contest. Republican incumbent Ken Paxton, who was indicted more than three years ago on felony securities fraud charges, has been running a relatively quiet campaign with the comfortable advantage of a GOP incumbent in a state that has not elected a Democrat statewide in more than two decades. But now he is firing back at his Democratic challenger, Justin Nelson, with a new attack ad — the first one from Paxton that addresses the indictment — and getting a fresh influx of high-dollar campaign donations, signals that Republicans are not taking anything for granted in the race for Texas’ top lawyer. Nelson, a prominent Austin attorney, has made Paxton’s legal troubles the basis of his campaign and the main focus of much of his advertising — posting billboards around the state featuring Paxton’s mugshot, commissioning a rolling billboard he calls the “Mugshot Mobile” and even sending campaign staffers dressed as Paxton in prisoner garb to frolic on the Capitol grounds in a Halloween stunt. Yet most consequentially, Nelson has spent significantly to air TV ads informing voters all over the state that their attorney general is under indictment. The anti-Nelson push from Paxton’s campaign suggests that the Democrat’s jabs have been successful in getting something most other Democratic statewide candidates have been aching for: the GOP’s attention. Except for the blockbuster U.S. Senate battle between incumbent Ted Cruz and Democratic challenger Beto O’Rourke, Republican statewide officials have largely ignored their Democratic challengers, let alone gone negative on TV against them. Paxton also got a cash injection from Greg Abbott. As I said before, this may just be an abundance of caution on Paxton’s part. The official reason, asserted by the political scientists, is that Paxton doesn’t want to win by a wimpy single-digit score. And maybe that is all it is. But I feel pretty confident saying he wouldn’t be asking for handouts from Greg Abbott if he didn’t think he needed the help. Meanwhile, there’s Democratic money coming in, too. A Democratic super PAC focused on state legislative races has injected $2.2 million into a slew of Texas House contests in their closing days. The group, Forward Majority, is using the money to help 32 Democratic candidates, many of them challengers in GOP-held districts who have not been able to match the financial backing of the incumbents. A large majority of the funds are going toward digital ads targeting the Republicans as beholden to big donors and corporate interests, with a couple of spots tailored to specific lawmakers. “We are staging this late intervention because we believe there is a unique window of opportunity for first time candidates to take down several entrenched Republican incumbents on Tuesday,” said Ben Wexler-Waite, a spokesman for Forward Majority. Forward Majority was launched last year by alumni of Barack Obama’s campaigns with the goal of retaking state legislatures across the country before the next round of redistricting in 2021. Texas is one of six states the group is targeting this cycle as part of a nearly $9 million push. In Texas, Forward Majority began seriously spending in its targeted races just a couple weeks ago. Its latest filing with the Texas Ethics Commission, which covered Sept. 28 through Oct. 27, shows the group spent $1.1 million. The rest of the $2.2 million has come since then, Wexler-Waite said. Forward Majority is not the only seven-figure force for Democrats in Texas House races this cycle. The House Democratic Campaign Committee has raised $1.1 million this cycle, fueled by six-figure donations from the National Democratic Redistricting Committee, the group led by former U.S. Attorney General Eric Holder. The HDCC is currently waging an $800,000 digital ad campaign in the most competitive seats. The list of races in which this PAC is spending money follows. It ranges from the ones that have been the focus of attention all along, to those that should have had more attention all along, to the stretch goals and the more speculative investments. I couldn’t tell you the last time we did something like this – pretty sure it wasn’t this redistricting cycle – so I’m just happy to see it happen. We’ll see how sound an investment this turns out to be.